Helmet mount kit for Centauri and Turbo 800 systems. Includes: helmet bracket, velcro straps, extension cord, and foam pads. 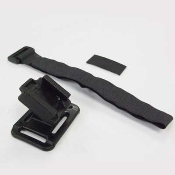 Helmet mount kit compatible with Expilion, Metro, Streak and Pace systems. Includes: helmet bracket, velcro strap, and foam pad. Helmet mount kit for TridenX Li-Ion, TridenX Li-Ion Xtra, MityCross, and DualCross Pro Li-Ion. Includes: helmet bracket, Velcro straps, extension cord, O ring, foam pads. Helmet mount kit and extension cord for Turbo Mini 400 and 330. Helmet mount kit for the Milion, TridenX NiMH, DualCross Pro NiMH, Rover II, and Hi-Flux II lighting systems. Includes: helmet bracket, velcros straps, foam pads. 2' extension cable compatible with Centauri and Turbo lighting systems. 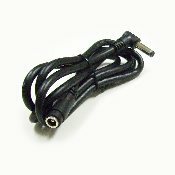 3' extension cable for TridenX, Trion, and MityCross (Li-ion) systems. NOTE: Not compatible with NiMH batteries.